Kavita Jaiswal (b. 1960) began her journey as an artist in the 1980’s. She trained under Rameshwar Broota from 1984-85 and works with a range of mediums (paintings, prints and videos). Kavita has had several solo exhibitions, most recently at Art Heritage (2014) and Art Konsult (2011). Her work has been showcased at the India Art Fair (2016), where she also had a stand-alone project space. Her participation in group exhibitions has spanned the globe, including Tao Art gallery(Dubai), Singapore, India, Bulgaria and Poland. She has been the recipient of many scholarships and fellowships including the Ministry Culture (Govt of India) and been awarded the Distinguished Achievements Award in Fine Arts by a jury headed by Mr K R Subanna, Chairman Lalit Kala Akademi (New Delhi). She is also the recipient of The Charles Wallace India Trust Award and travelled as Artist in Residence to the Edinburgh Printmakers Workshop in Scotland. 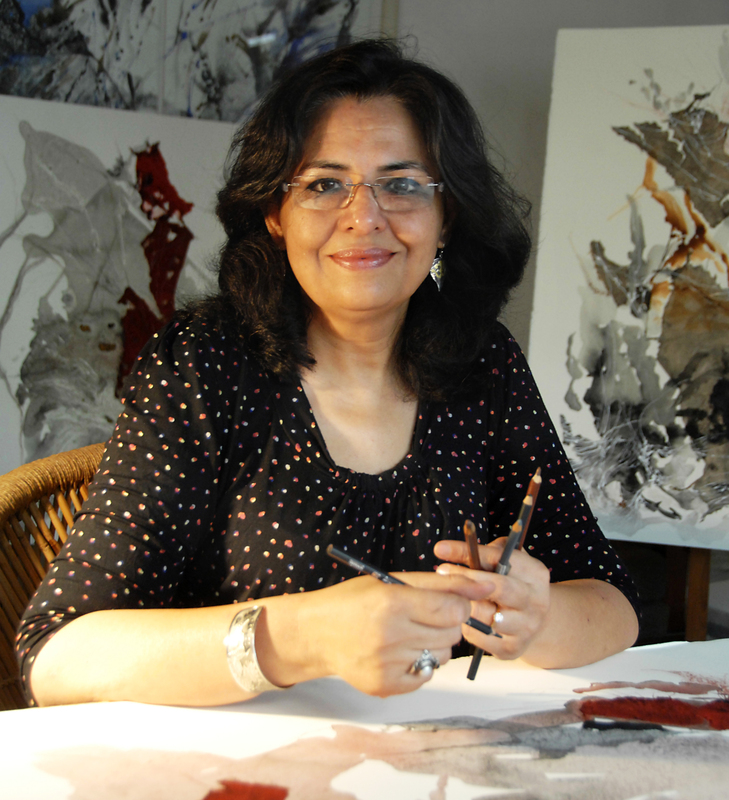 Kavita’s works are found in several collections,The National Gallery of Modern Art, New Delhi, The Alkazi Collection of Art and the British Council, New Delhi to name a few. Her works have been successfully auctioned at the Christie’s London. Kavita lives and works in New Delhi.